These German Airship Knickerbockers will make just about any Steampunk ensemble as sporty as can be. 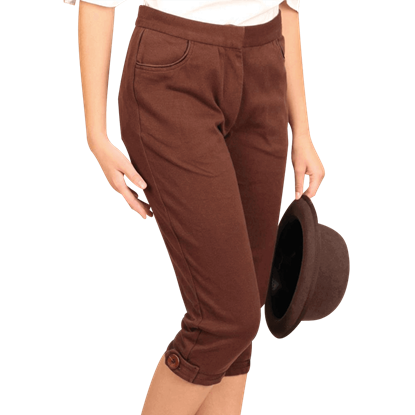 Made from a soft poly-cotton stretch fabric, these knee pants feature pockets at the waist and brown wooden buttons at the cuffs. If you are feeling hot this summer but still want to enjoy your favorite fashions, be sure to check out these steampunk bloomers. The Leonardo Writing Bloomer Shorts can be worn as shorts or as unique period undergarments. If you need to beat the summer heat while showing off Victorian style, then these charming patterned steampunk bloomers make a great option. The Octopus Print Bloomer Shorts can be worn as shorts or as unique period undergarments. The form-fitting stretch of these pants creates a comfortable wearing experience both stylish and flattering. The Steampunk Black Stretch Pants suit many different ensembles with their solid black color. The genre of steampunk embraces a variety of styles within its aesthetic, including retro-futuristic elements from its science fiction roots. 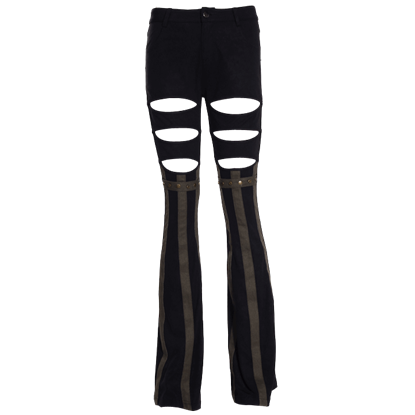 The Steampunk Exposed Thigh Striped Pants offer unique trousers to complement your outfit. Victorian ladies might have been required to swelter in the summer heat, but you will not have to with the addition of these shorts to your closet! The Steampunk Striped Bloomer shorts look great with your favorite period tops. 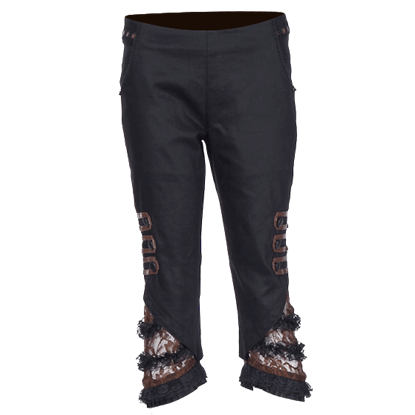 When you need an attractive pair of bottoms to accompany your fashionable steampunk blouses and tops, this pair of cropped pants makes a great option! The Steampunk Three-Quarter Pants cut off around the mid-calf. Everything about these shorts makes them a fantastic choice for beating the summer heat in style. The White Bloomer Shorts look great with any of your favorite gothic blouses and tops while helping you to stay comfortable.